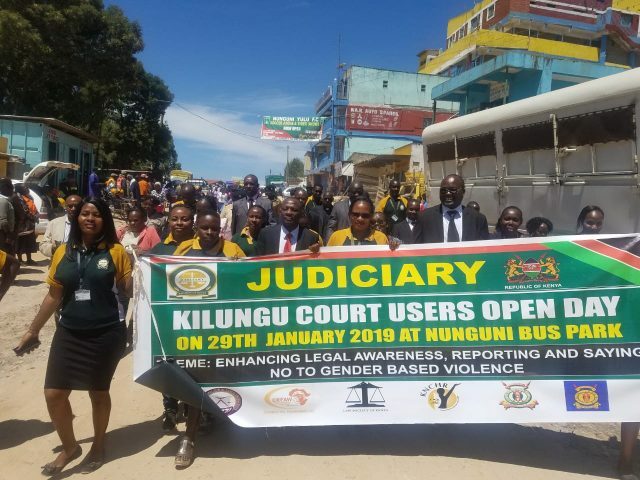 kilungu Law Courts today held an Open Day to interact with public and get feedback on court services. Judge Kariuki, Senior Resident Magistrate Hon. Muiru and Kilungu Law Courts Head of Station Hon Mayamba, during the court’s Open Day. Judge Charles Kariuki and Hon. 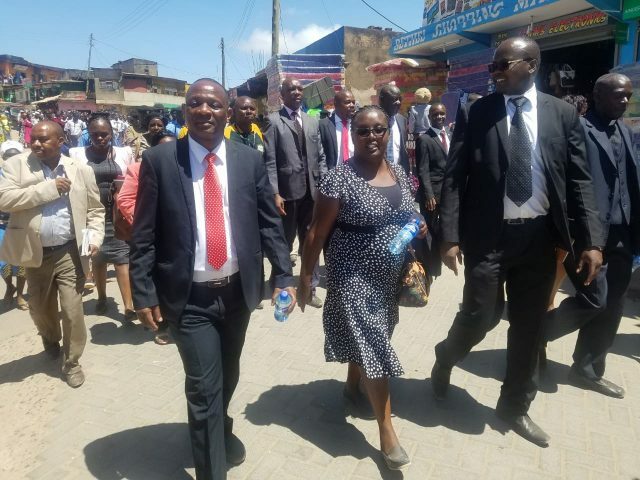 Charles Mayamba lead a procession during Kilungu Law Courts Open Day.